I have pretty much nothing to say about this song other than that I love it. I suppose that was bound to happen 495 songs into this little endeavor. I just hope it doesn’t start happening more often. I thought of Fleetwood Mac recently when John Mayer talked about their influence on one of his new songs and, as usually happens when I think about Fleetwood Mac, I remembered how much I love their stuff. And I don’t think I need much more of an excuse than that to feature them on the blog. 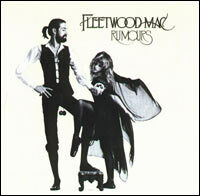 So here’s one of my favorite songs from the classic Rumours album.